This Transferable Skills Seminar is open for all graduate-level researchers (Master’s, Doctoral, Postdoctoral Researchers). 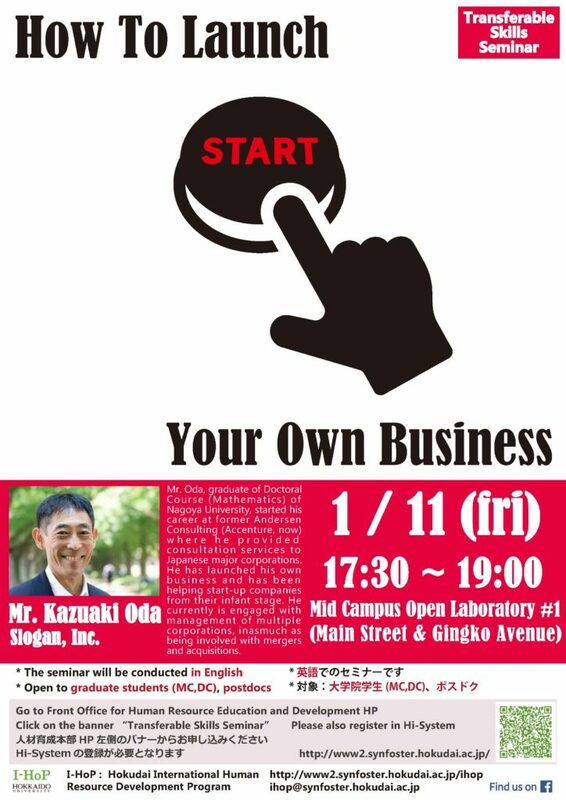 The seminar will be conducted in English. Dr. Oda, graduate of Nagoya Univeristy’s Doctoral Course (Mathematics), started his career at former Andersen Consulting (now Accenture) where he provided consultation services to major Japanese corporations. 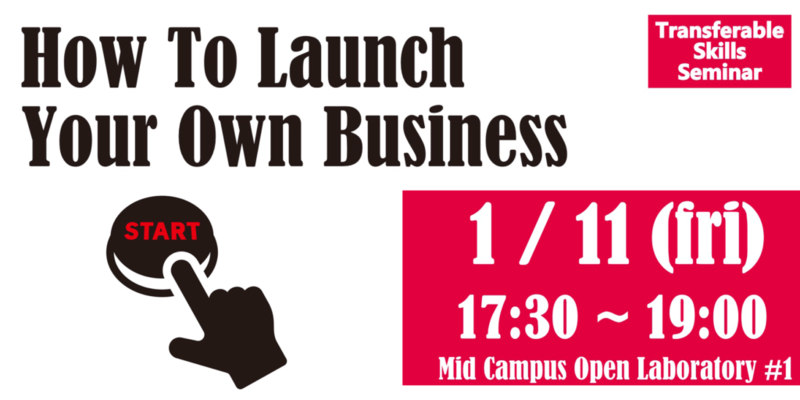 He launched his own business, and helps start-up companies from their infant stage. He currently is engaged with management at multiple corporations as well as being involved with mergers and acquisitions. Click here and scroll to the bottom of the page and click “申し込む” to register for the event.